The United States produces more than 80 percent of the world’s pecans, and Georgia is the nation’s largest producer of pecans by far. Pecan cultivation in Georgia began in the late 1800s, and by 2012, Georgia’s pecan production for reached 100 million pounds (New Mexico at 65 million pounds was a distant second). 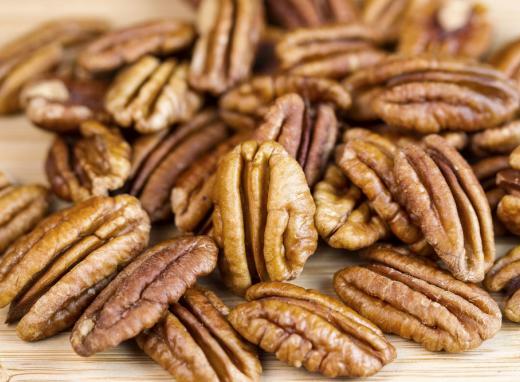 Commercial pecan production takes place in 14 states. 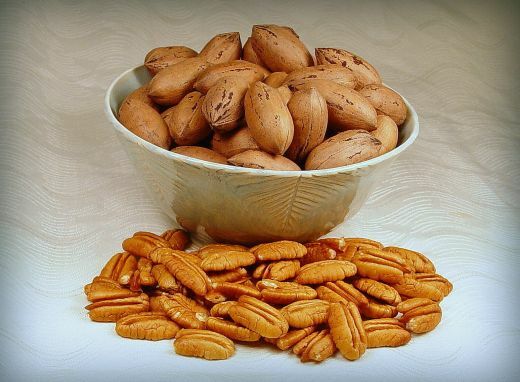 The pecan, Carya illinoinensis is a species of hickory that’s native to south-central North America (Iowa, Illinois, Kansas, Missouri, Indiana, Tennessee, Kentucky, Mississippi, Louisiana, Texas, Oklahoma, Arkansas and parts of Mexico). The large deciduous trees grow to 66-130 feet (20–40 meters) in height with a typical spread of 39–75 feet (12–23 meters) and a trunk up to 6.6 feet (2 meters) in diameter. Choosing cultivars can be a complex practice, and commercial planters focus on the Alternate Bearing Index, which describes a cultivar's likelihood to bear on an alternating years. An early harvest date compared to other areas of the nation that produce pecans often results in good prices for Georgia pecan growers.